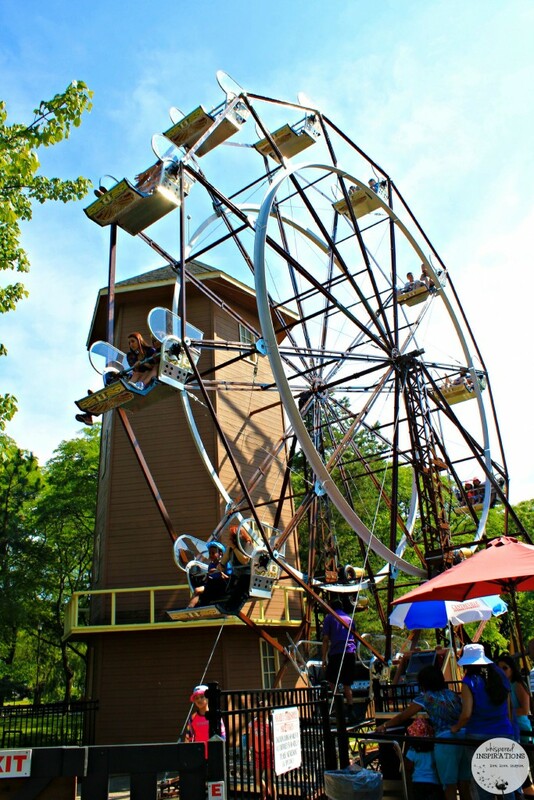 Spend a Day in Centreville! 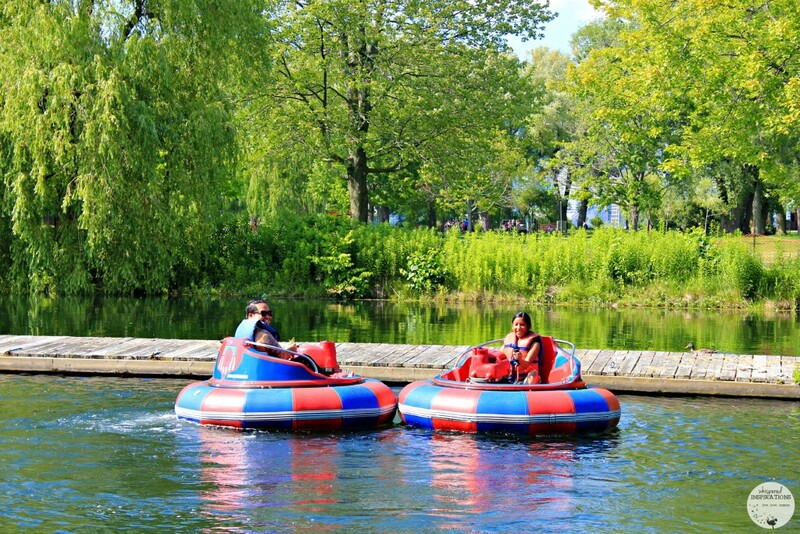 It’s Summer Fun in Toronto! 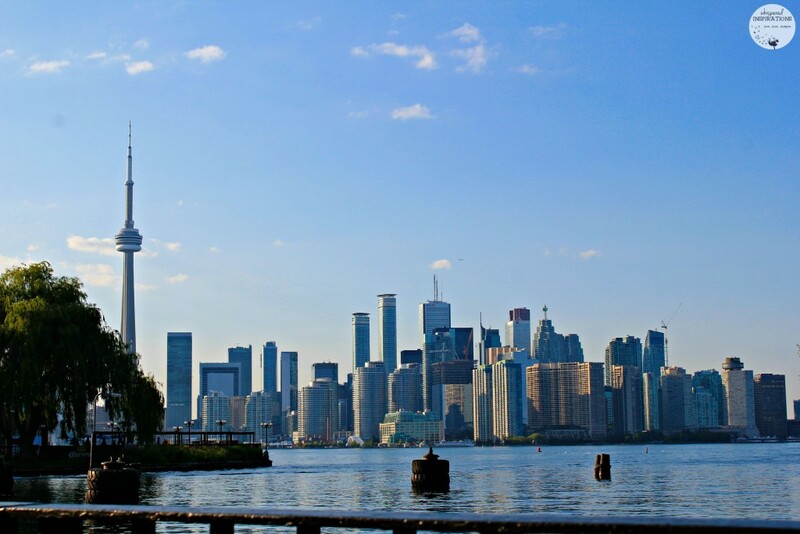 Last month, we had the pleasure of visiting the beautiful city of Toronto. I’ve been to Centre Island once for a media party but, never had the chance to explore the island. My husband on the other hand, grew up going to Centre Island and Centreville though he hadn’t been back in over 10 years. 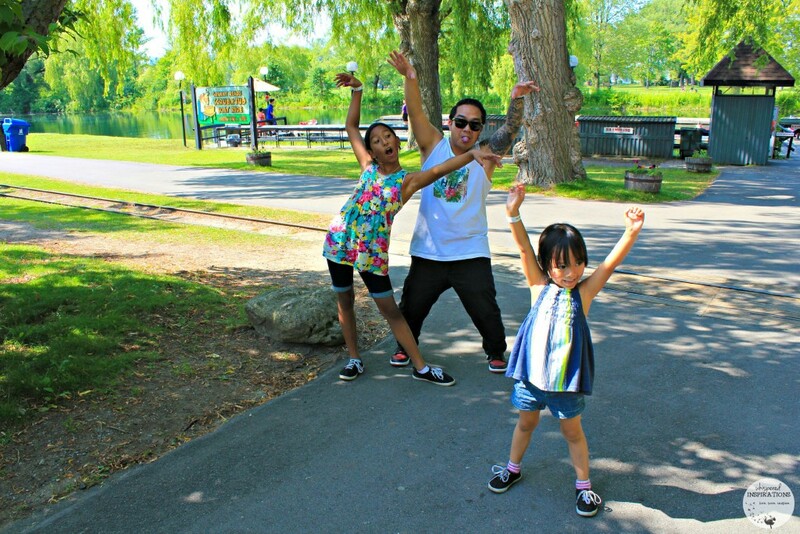 Needless to say, we were very excited to spend the day there and explore everything the island has to offer! Not to mention, it is a super affordable outing to an amusement park and not only can you enjoy the park with all the rides (there’s over 30 of them), you can pack a picnic and pick out a spot on the island to feast. If you don’t have time to pack a lunch, there’s plenty of places to have a bite like Pizza Pizza, Scoops Ice Cream Wagon, Funnel Cake Shop, Sister Sara’s Cake Shoppe or Floss Factory! 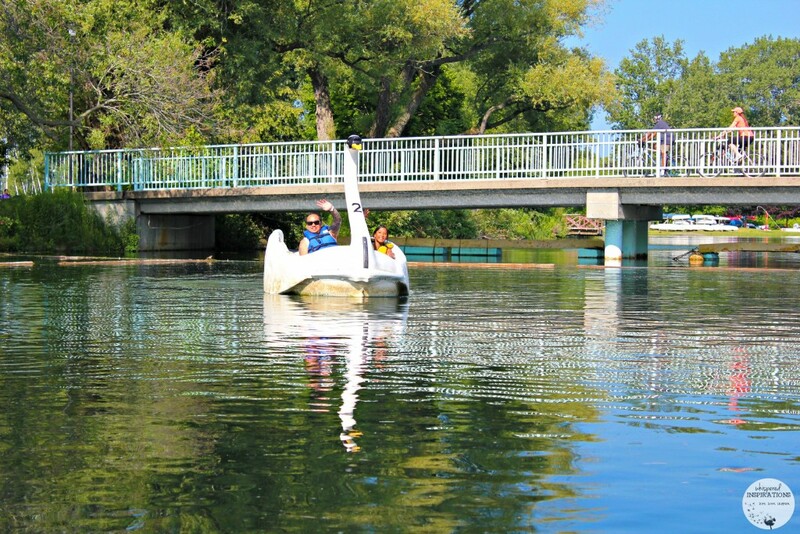 Centre Island is a destination that is a must for all families with small children, even the big kids will love it too. You can see a full list of the rides and attractions, here. 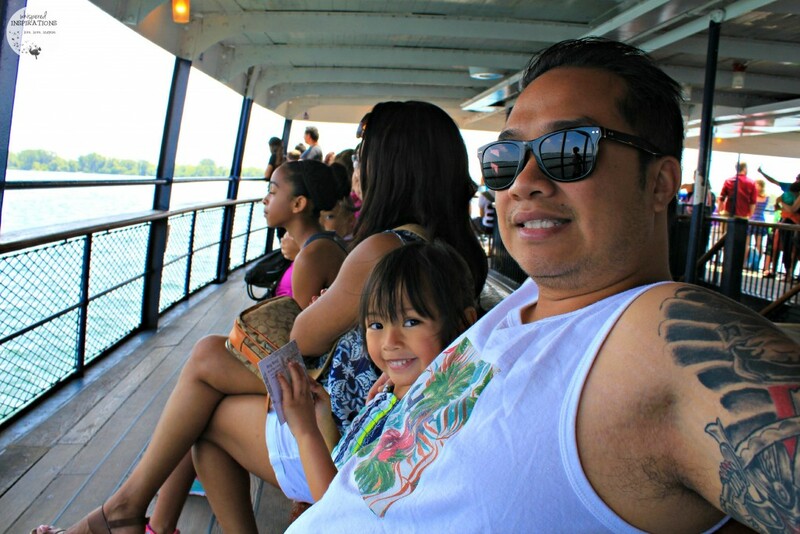 My kids have been to Toronto many times but, they’ve never had the chance to ride the ferry. You can see Toronto in a completely different way from the boat and the girls absolutely loved it. Mimi chose to sit and watch from her seat while Gabby preferred to stand, catch the wind in her hair and gaze upon the city as we left it behind. 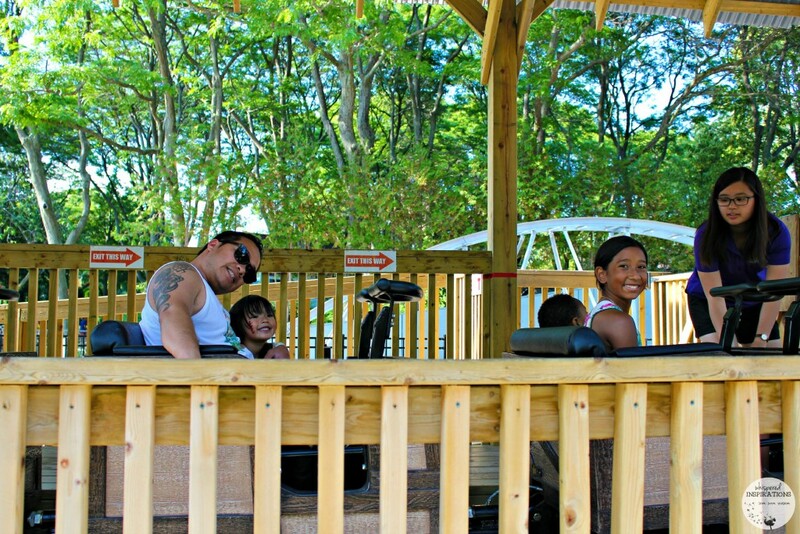 It’s a real treat before getting to the island and the kids will really enjoy it! Our first stop was City Hall to get our tickets and if you do make your way there, might I recommend that you get an all-day pass? If you are curious as to the why, well, it is because the kids will want to ride again and again! It will save you money in the long run. Round and round, you go and that we did! I haven’t been on a ferris wheel in ages and Mimi wanted to go on so badly. This was definitely an experience for her and once we got off, she wanted to go back on again right away. What was nice is that while the park is bustling, there is never a long line for anything. We had a great view of the island from the top and you can even see the CN Tower! Now, who doesn’t love bumper cars? I don’t think I know many kids who would scoff at the idea of bumping their friends, family or strangers around. 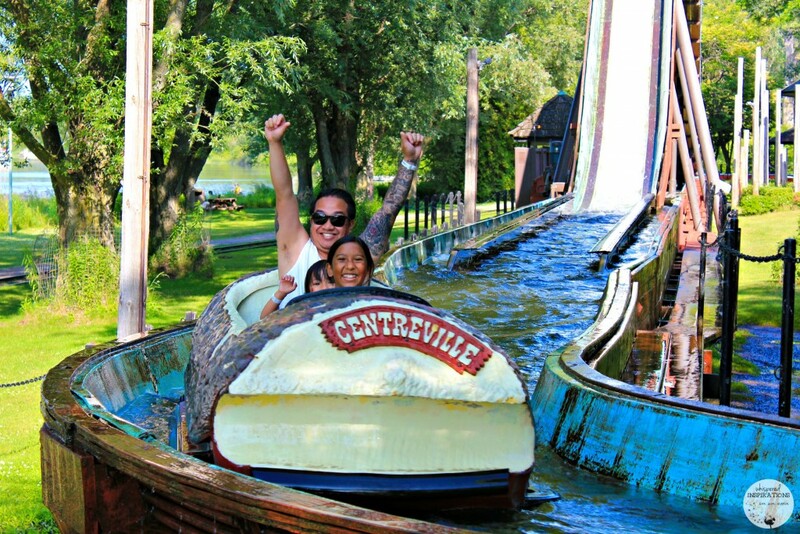 What is even better at Centreville is that you can do that on the water and you can splash and bump to your heart’s content. We alternated with Gabby since Mimi was too small to go on. 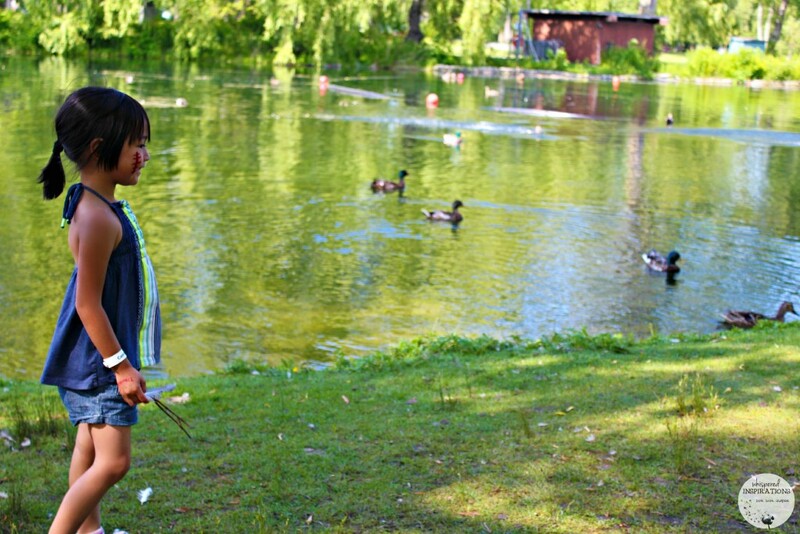 While they splished, splashed and bumped–we sat under long and draping trees and played with the ducks that came so close to us. There’s nothing more classic than stepping into a swan and taking it out on the lake. It is something that I am glad I was able to share with both of my girls. 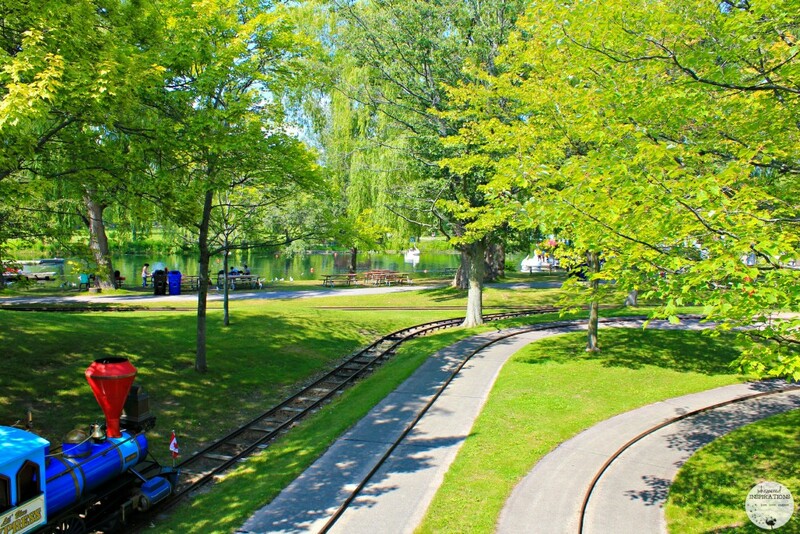 I remember riding them as a child myself and I am glad that Centreville has preserved small treasures like these to share with the younger generations. There’s nothing more relaxing than this! 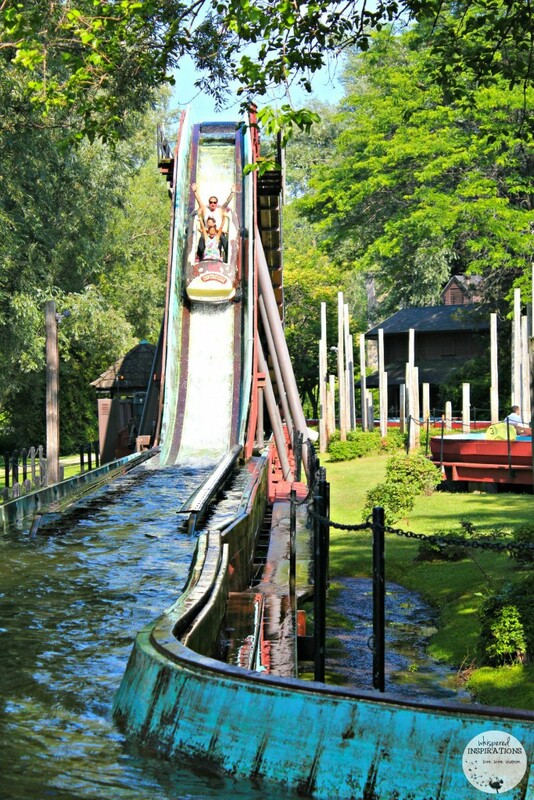 This was a family favorite and I think we went on it at least 6 times! The girls were obsessed and they loved it. Once you step into the log, it will take you around and then up, up, up you go and then you drop! It gave me those butterflies in my stomach and it was great to cool off from the hot summer sun. The girls found it thrilling and even the littles can go on with a parent or guardian. 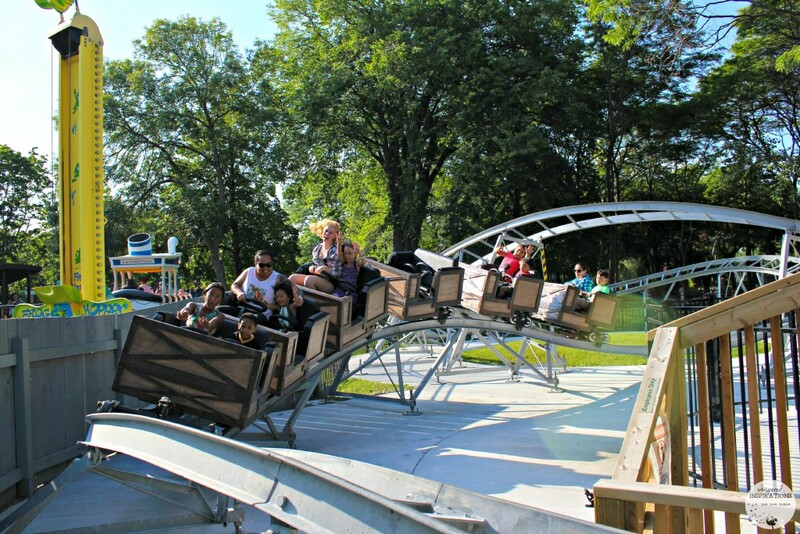 Hop aboard the Toronto Island Mine Coaster! It is lots of fun! The girls had a blast careening along the rails and they had to ride it at least 3 times before they were satisfied. There’s something about kids and going fast that they cannot get enough of! This ride is one that the big kids will enjoy as well. 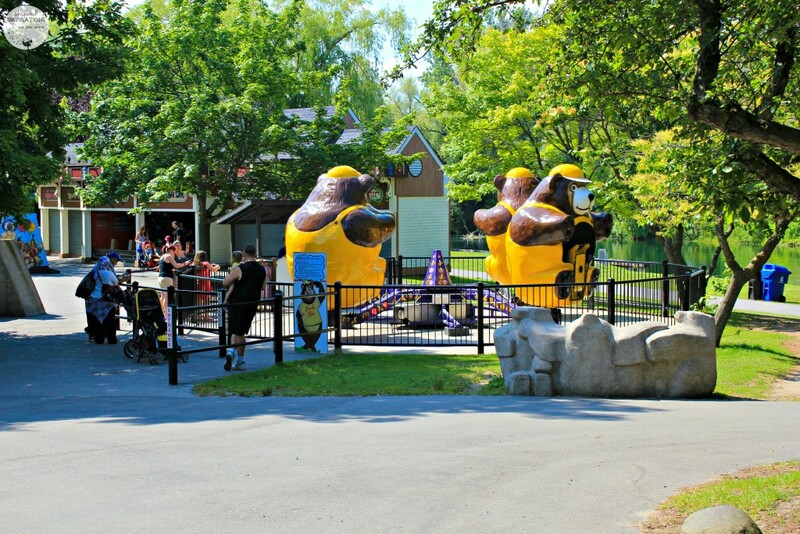 Even on a busy summer day, the lines are short and that only means plenty of rides for everyone! 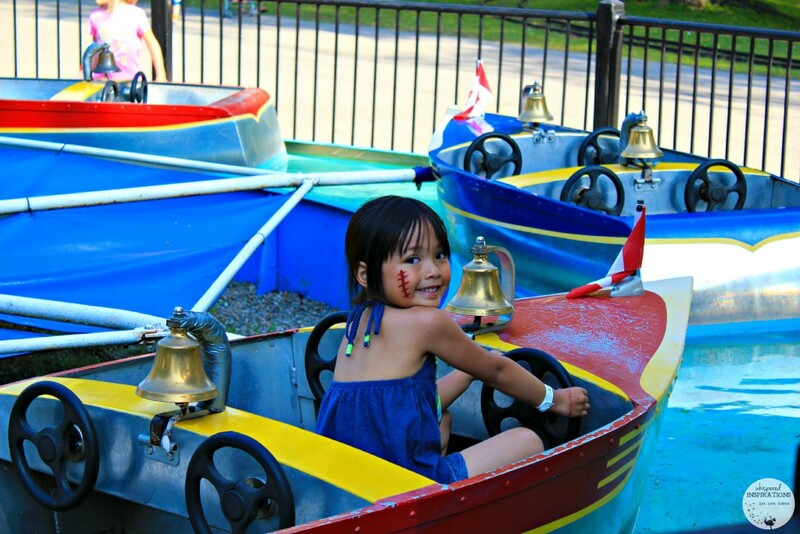 While there are a lot of rides for the whole family like the Centreville Train, there are lots of kiddie rides too. It was nice to have rides available that Mimi could enjoy and the Kiddie Boat was one of them. 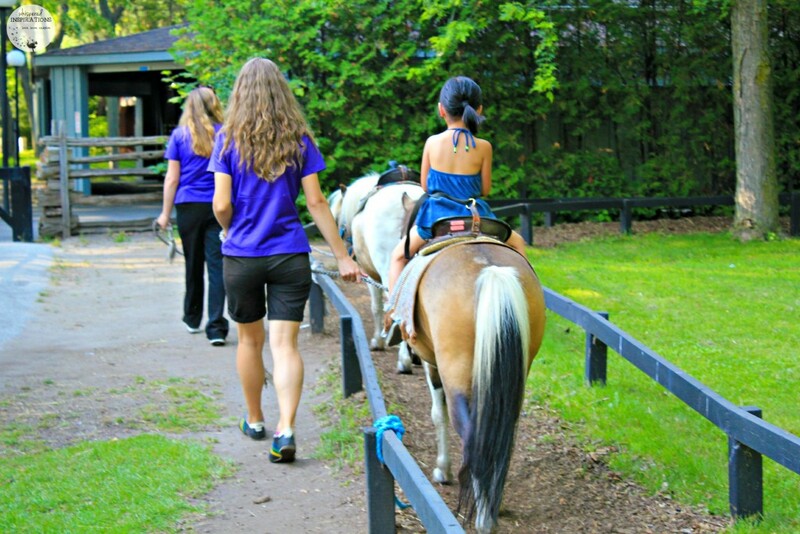 Pony Express was one of Mimi’s favorites and she was happy to ride a pony for the first time. His name was Oreo and she said she loved him. 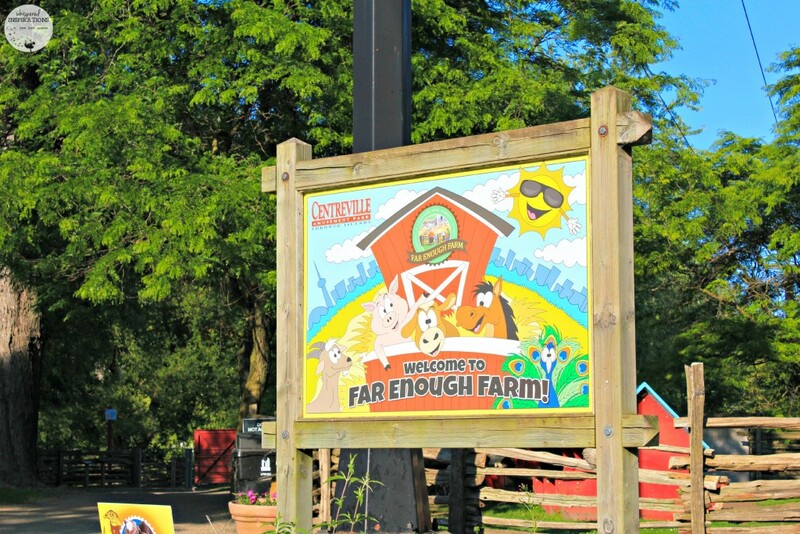 It was established in 1959 and Far Enough Farm is a longstanding Centre Island staple. 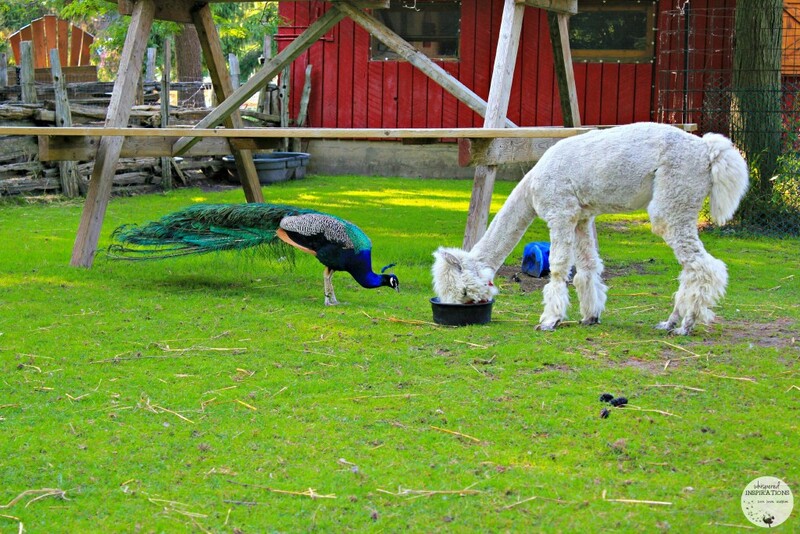 It is unique because it is only minutes away from the core of Downtown Toronto and if you have city-dwelling kids like we do, they have the opportunity to get up close and personal with over 40 different species of farmyard animals and exotic birds. It is open daily 365 days a year from 10:00AM – 5:00PM and best of all, there is no admission fee. While the kids were having fun on the coaster with Dara, I wandered off and found a bench to sit on. While the sun was starting to set, I enjoyed some quiet time while I watched the ducks and swans float in the pond. I could feel the cool breeze coming in and while the park is full of energy, it was great to get away just for a little while. 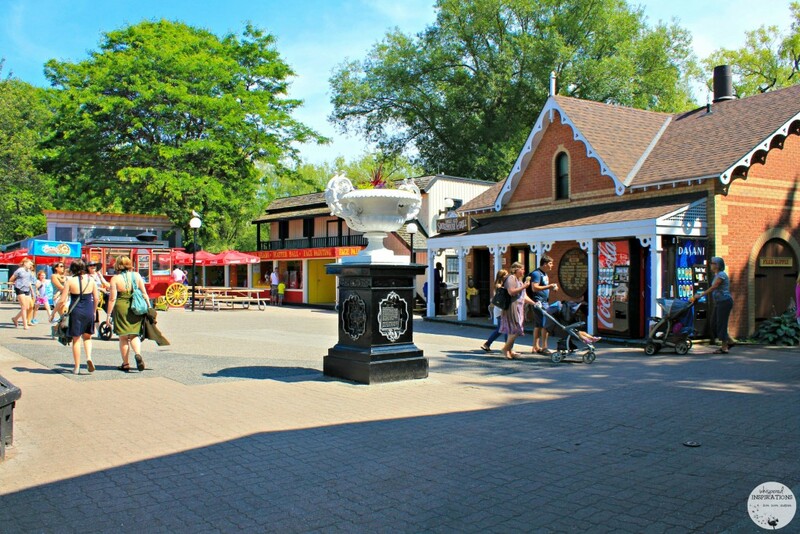 Visit Centreville at Centre Island! 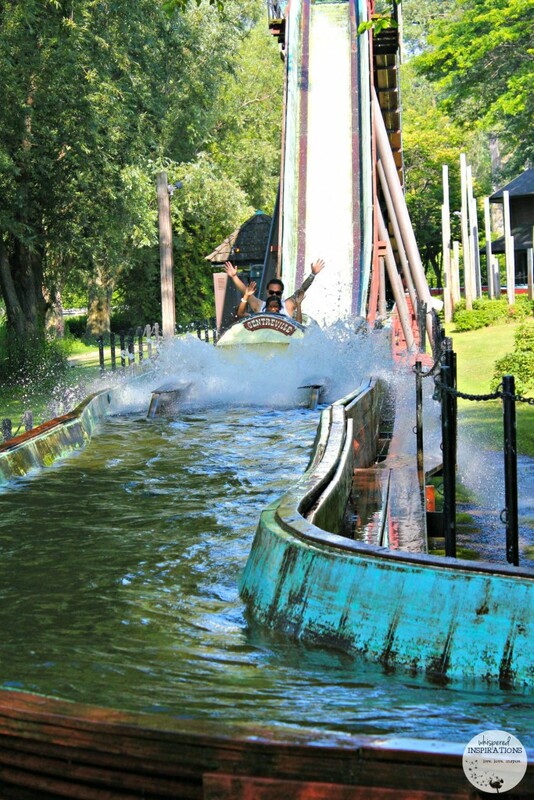 We had an incredible day at Centreville, we even started our day out at Pirate Life TO that is right near Centreville. One of the best parts about spending the day at Centreville was that it is a unique experience. 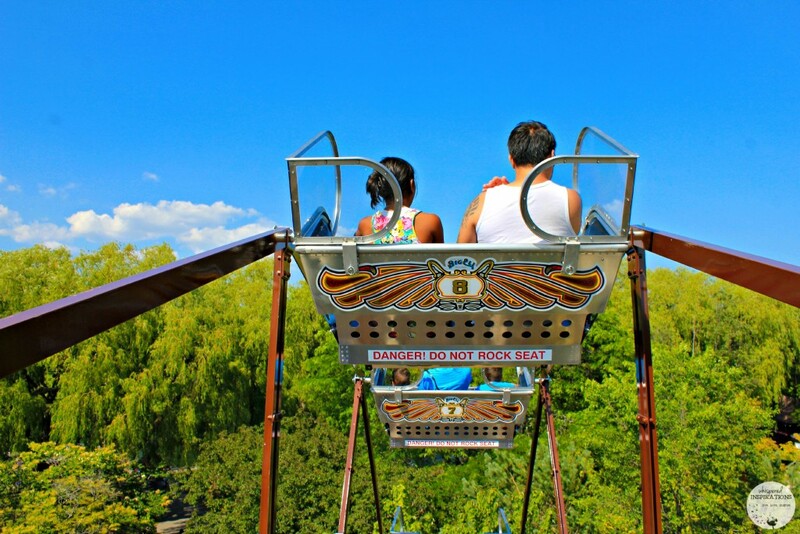 It takes you back to your own childhood and it gives you all the fun and thrills of an amusement park. Yet, there is peace and tranquility to be found because it is nestled in a natural island. As we boarded the ferry to head back to the city, we were fully content having enjoyed the island. Tickets are affordable and you can buy them online. For a family all-day pass, it is $101.24 for 4 people, each additional pass is $25.44. Individually, for customers under 4 feet, it is $23.01 and for those over 4 feet it is $32.74. 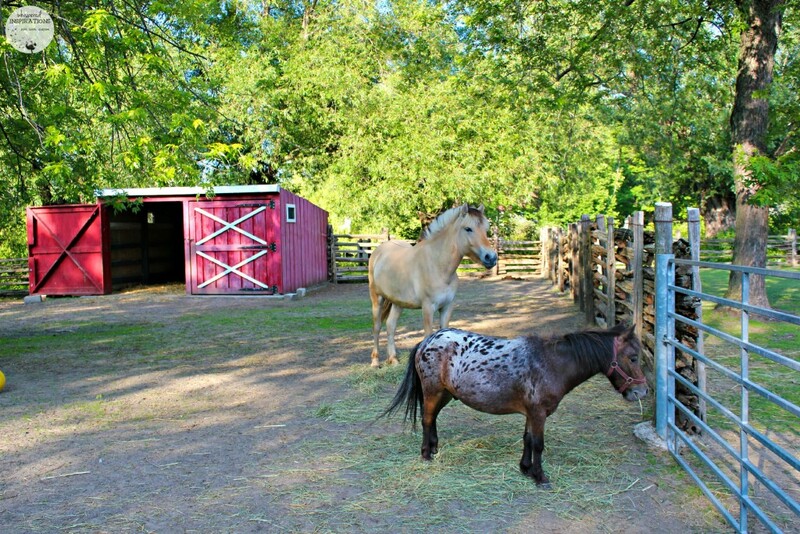 There is no entry fee at Centreville, so you can always choose to take a look around first! Buy your tickets, here. 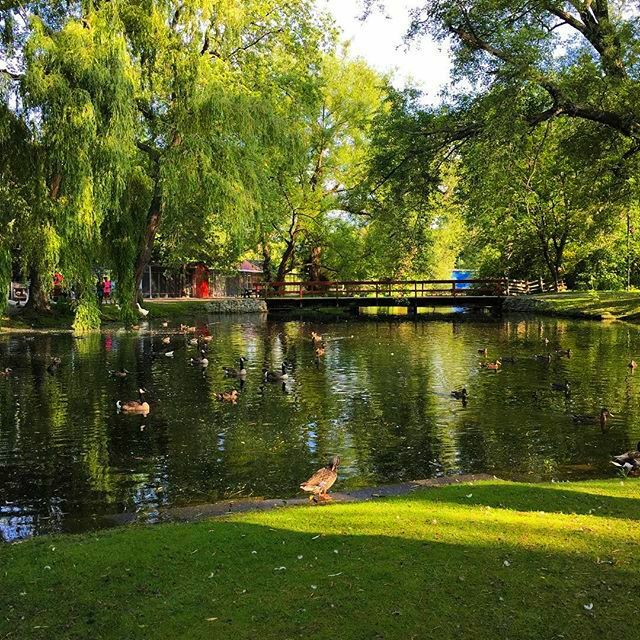 Have you ever been to Centre Island and Centreville? Same with my Hubby til this year. My husband is such a kid, I could see us on the train and ferris wheel in a heart beat. Looks like so much fun, have never been! We are going to have to put it on our Summer Bucket list one year. 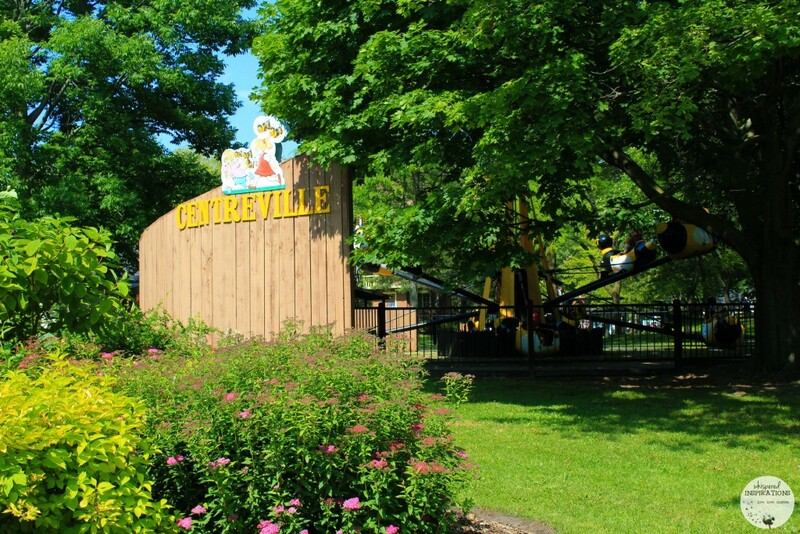 So many great memories from my own childhood, and all the years that we took our boy…..it's been some time tho, hoping that I can visit centreville next summer with my little girl!! You must, it is so much fun as an adult too. Love the pics and the wonderful ideas of things to do. Thank you so much for sharing. This looks like great fun for the whole family! I am hoping next summer we will get to take in some of the sites in Toronto!